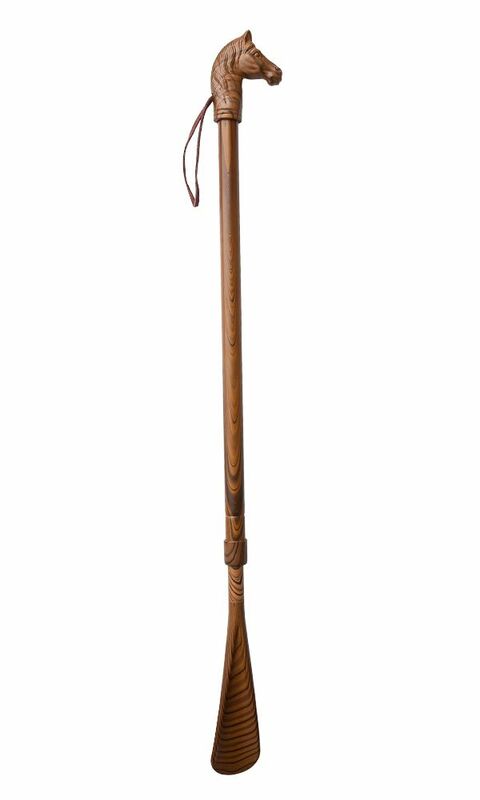 Aluminium horse shoe horn with wood effect pattern and a leather loop to hang. The shoe horn extends making it easy to fit your shoes. Approx 21 inches long and useful for those who find difficulty in bending when putting on their shoes.